The Cheshire (Altrincham) Branch of the RSPCA was founded in 1963 and is based in the Altrincham / Sale area, although we cover a large area of Cheshire which runs from Sale and Carrington in the north, down through Knutsford and Northwich and as far south as Holmes Chapel and Sandiway. We work closely with RSPCA Inspectors to provide direct animal welfare services in these areas. This includes veterinary care and safe homes for unwanted animals and those that the RSPCA Inspectors have rescued from harm. In addition to rehoming rescue animals, we also have regular drives to promote and provide subsidised or free neutering and microchipping of animals to help unwanted litters of kittens and puppies which can lead to abandonment and strays. 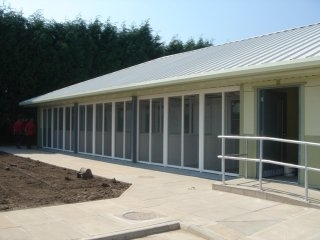 In June 2008 a new cattery, dog isolation unit, miscellaneous unit and vet facility was completed. This was the cumulation of 5 years of fundraising, donations and legacies to provide a new state of the art facility for animal care. Altrincham RSPCA donated £150,000 toward the total cost of £720,000. 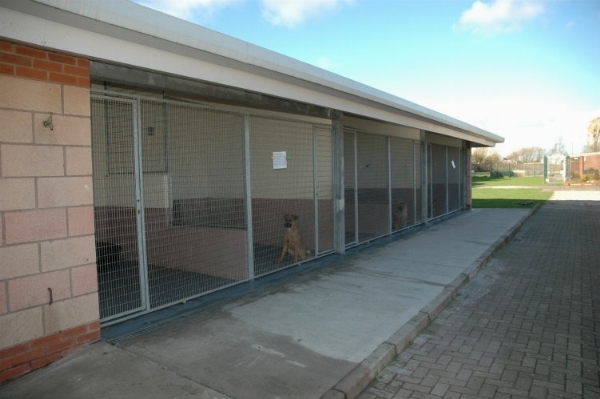 New Kennel block at Warrington Animal Centre. The RSPCA rehomes thousands of unwanted cats and kittens every year. Neutering prevents unwanted litters of kittens and puppies. 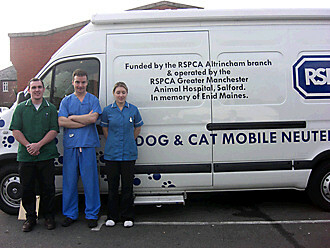 Altrincham RSPCA funded this fully equipped dog and cat mobile neutering van, which the RSPCA Greater Manchester Animal Hospital operate around the North West region. You can help us to continue this work. We can always use another set of hands to help out or financial contributions to to help fund and continue our work for local animal welfare.